Located in Central NJ, I've been Collecting and Sharpening Knives for over 20 years, and still find it fulfilling and exciting. I've tried every Knife Sharpening method available and have found one thing to be certain ... That no single system or method can sharpen everything. Time and Learned Skill has allowed me to put on a Professional Sharp Edge on your Knife. I Sharpen most types of Knives, Bevel Edge Scissors and Shears for Barbers and Groomers, as well as Convex Salon Scissors & Shears. I use a variety of techniques when sharpening, and apply them accordingly when sharpening your knives and scissors. I take extreme pride in the final product and hope that your satisfaction is complete. Turn around times are usually 1-2 days, outside the busy seasons. 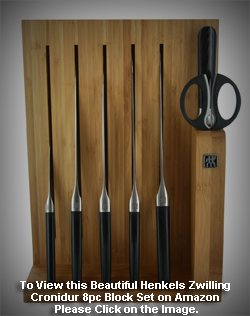 All Sharpening Services are done by Local Pickup or by Mail-In and Mail Order. In Hillsborough along 206, I can meet you, pick up your Knives & Scissors, and return them sharper than new. Please note that there is no Local Drop-off location. The Cost of this Local Sharpening Service is a minimum of $60. 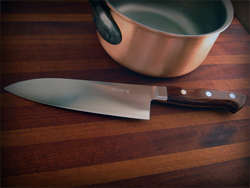 Knives are Sharpened at the regular rates of $1.50 per inch, Serrated Knives at the rate of $1.75 per inch, and Utensils or Repairs at the listed rates on the Sharpening Rates & Pricing Page. Simply mail them to me with return shipping included as per the instructions on the Mail In page. This way you simply then pay by the inch, and no need for the $60 minimum. Clients that I often meet up with for Local Knife Sharpening Services are from the towns of Hillsborough, Somerville, Bridgewater, Bedminster, Basking Ridge, Warren, Branchburg, Readington, Montgomery, Skillman, Princeton, and even Raritan Township in New Jersey. As mentioned, the Cost for this Service is a minimum of $60. This charge is the minimum whether you have 10" of knives or a combination of Knives and Scissors totaling $60, due to time and travel expenses, along with labor charge of Sharpening. If the amount of Sharpening exceeds $60, then the price is simply the total according to the rates on the Knife Sharpening Rates page. For all others outside my area, and even inside my local area, I highly recommend my Mail In Knife Sharpening Service. Turnaround time is usually within 8 days depending on Carrier times, location and your choice of shipping. 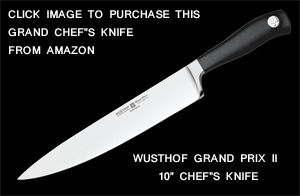 The Mail In Knife Sharpening Service and Packaging details is explained in detail on the Mail In Sharpening page of the site, and printable service form links are provided to include in the package when you ship your knives. I strive to keep my customers as satisfied as possible. All Knives need Professional Sharpening at some point, no matter how well you maintain them. I take your dull Knives and put a Sharp Edge on them that, in most cases, is sharper than when new. The worn, dull U shaped edge comes back to you in a perfect V form, ready to slice smoothly and chop with ease. I provide a quick turnaround time and excellent personal professional service. I am not only the owner of ZB Sharpening, I am the Sharpener. With my Service, you're receiving hands on Craftsmanship learned over 20 years ... no middle men or employees. I keep my business personal and small to ensure that the quality remains high. On my Knife & Scissor Sharpening Rates page, you will find pricing for services and repairs that I provide. If I am unable to Sharpen your Knife, I will contact you with an explanation and return it back to you. I look forward to having the opportunity to welcome you as a future customer, or thank you as a returning customer, and giving you the Professional Sharpening Services you expect!